People are torn when it comes to criminals. On the one hand, many of us feel an innate sympathy for those who've been punished and suffered a loss of freedom. We know that felons suffer as a result of their actions and feel sorry for that suffering. Throw an unfair system, racial profiling and the lifelong effects of a felony conviction into the mix, and you end up with some truly tragic stories. On the other hand, our sympathy for criminals is tempered because we know that they did something bad, something deserving of punishment. They had it coming, in other words. Every crime has a victim, after all, someone who has suffered as a result of a felon's actions. Do not victims, our thinking goes, when all is said and done, deserve precedence over criminals when it comes to our sympathy and support? Crime, by its very nature, presents us with a dichotomy between sympathy and retribution, between harm and punishment, between criminal and victim. This dichotomy leads to moral and ethical quandaries. When thinking about crime and criminals on one side, and victims on the other, we feel forced to take sides. If I support the criminal does that mean I'm somehow condoning the crime or betraying the victim? If forced to choose, should I not side with the victim? With lawfulness? It's this very quandary that makes being a criminal and writing in support of other criminals so difficult. I now find myself to be a "bad guy" writing in support of other bad guys. I would argue, however, that this dichotomy between the victim and the criminal, this quandary we face in our support, is a false one or, at the least, bridgeable. We should not have to choose. Just because a person supports prisoners, rehabilitation, prison reform and the like does not mean that that person has turned her back on the victims of the prisoner's actions. It doesn't mean she's soft on crime. Conversely, the 'get tough on crime' crowd, with its myopic focus on law and order, may in fact be doing the very victims of crime a disservice by focusing on prison as a place of punishment. Retribution is only side of a many-faceted coin. 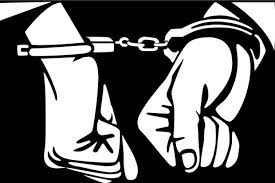 Without rehabilitation, without support, criminals tend to repeat their crimes. The result? More victims. Sometimes I wonder if I am doing victims a disservice, somehow discounting their suffering, as a result of my own personal experience. 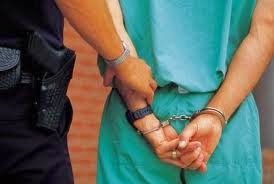 One goal of my writings about crime and criminals, after all, is to humanize those we tend to demonize. My crime was nonviolent and the victim, as I've written before, was not sympathetic in the traditional sense. I have never been the victim of a serious crime and could not imagine committing a crime that actually hurt someone; violence is not in my nature. As a result, I occasionally catch myself justifying my actions, while at the same time condemning those who commit violent, dangerous or particularly terrible crimes. But then I start to wonder if I'm being hypocritical, if that big bright line I like to draw in the sand is a fair one. After all, who am I to judge? While certain people may have a predilection for crime or violence as a result of upbringing, disadvantage, genetic makeup, gender, or whatever it is that influences wrongdoing, aren't we all just a step away from falling afoul of the law? I never thought of myself as a felon. In fact, I went through most of life as a productive, law-abiding citizen. But presented with that irresistible mix of opportunity, rationalization and addiction, I did the very thing I never thought I'd do. I found myself to be weaker, more susceptible to temptation than I expected. But weakness in and of itself is not a crime. While I like to think I'd never commit a violent crime, who knows? Many normally non-violent individuals have proven weak at a critical moment, have snapped under pressure and committed crimes which they thought themselves incapable. With honest reflection, I truly believe that we all have the a buried inner weakness - some maybe more than others - that could lead us to commit a crime. 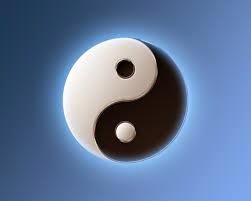 Thankfully, for most of us for most of the time, the yin beats out the yang. The other side of the spectrum requires less introspection. We all have the potential, through no fault of our own, to become victims to a crime. The evening news brings home the fear that crime occurs randomly and could hit any one of us. The involuntary nature of victimhood makes it scary. 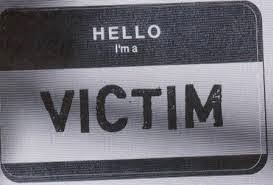 One thing I have discovered through my own experience is that the category of 'victim' encompasses a much broader group than is commonly recognized. We tend to think of only the direct victim of a crime: the victim of a scam, the victim of a robbery. But what about all the others who indirectly suffer, the family members, friends, passers-by? Society as a whole can suffer, through fear and a loss of trust. In my case, my children suffered the most as a result of my actions; they were the true innocent victims of my crime. What I would propose, what I try to do in my thinking and in my life, is to offer sympathy and support to anyone, victim or criminal or innocent family member, who becomes somehow entangled in our criminal justice system. It is a terrible, painful process for all concerned. Innocent victims are truly deserving of our support; that goes without saying. But felons who recognize their crime and do their time are too. It's in all of our interests to support them in their effort to once again become contributing members of society. The criminal justice system requires the attention and scrutiny of ordinary citizens. It is a reflection of our society, after all and it's failings are our own. In a perfect world, criminals should engender feelings of "there but for the grace of God go I", not suffer from society's demonization of them as some sort of "other". That's not to say that, in support of criminals, you won't have to draw a line in the sand, as I do, between what you consider redeemable and unforgivable, acceptable and horrific. Every person has her own limits when it comes to forgiveness. Come to think of it, maybe I've hit upon my real line in the sand: a line between those who, whatever their crime, admit to it, atone for it, accept their punishment and try to make good and those who deny, rationalize and deflect. Felons, more than anyone, need to remember the victims of their actions. In any event, once that line is drawn and you consider the human dimensions of crime, the dichotomy - the divide - between support for criminals and support for victims is most definitely bridgeable. Am I Going to Prison Camp or Not? Do Criminals Deserve a Second Chance? Diary of a Wimpy Con is a blog chronicling the path of a mild-mannered convict through the criminal justice system and prison. Written by an articulate and thoughtful federal felon, the blog chronicles an important part of our society literally walled-off from mainstream view. Let Leigh open your eyes to this fascinating world behind the bars. All rights reserved. Simple theme. Theme images by luoman. Powered by Blogger.